Our focus at the commercial cow/calf level is to provide genetic advancement tools and premium marketing opportunities for progressive operations, while increasing the accuracy of their genetic selection. Our communications and media efforts are focused around these producers to broaden their knowledge-base and business opportunities. 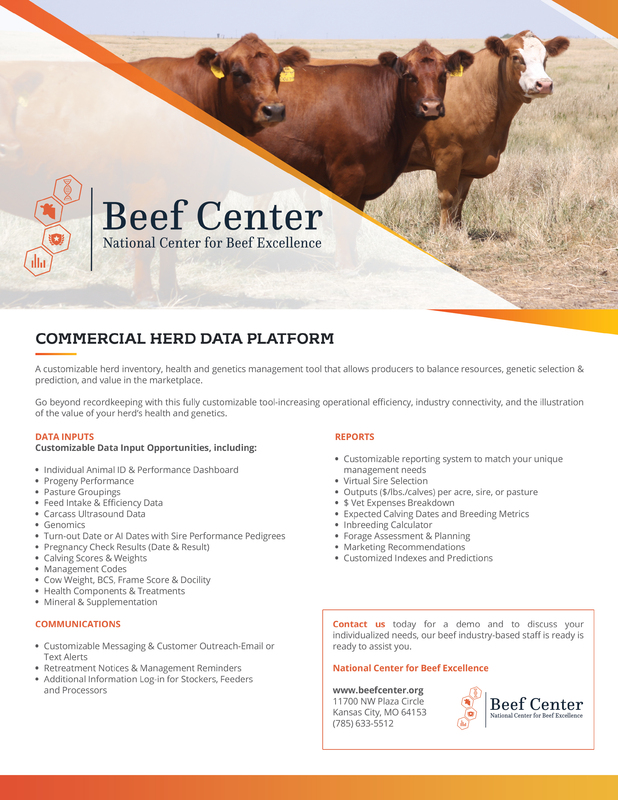 Specifically, we are excited to offer more customization to the genetic tools commercial herds are currently using in order tailor them to those operations unique management styles, marketing goals and geography. We know that each operation is unique, and our staff is ready to work on your behalf to help ensure your longevity in the beef industry.